Nokia ACE Training site? For Windows Phone Ace or something else? 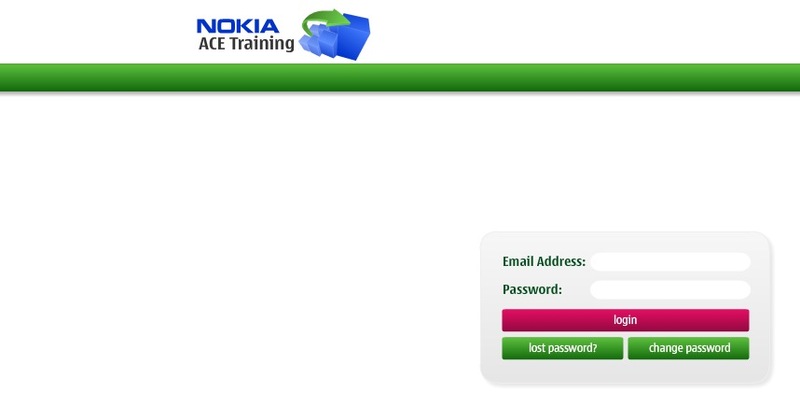 This is probably nothing, but there’s a site called Nokia-Ace.com which leads you to a Nokia looking site, called NOKIA ACE training. What is Nokia ACE? Is it an acronym for something or could it be related to the rumoured Nokia ACE Windows Phone? The Who.is data doesn’t look all that convincing of this being a proper Nokia site. What’s most interesting is that it’s the same source that mentioned such site (just in passing conversation). I’d highly suggest NOT putting in any of your Nokia account details there at all. « Nokia N9 Wallpaper Art and the artists behind them.